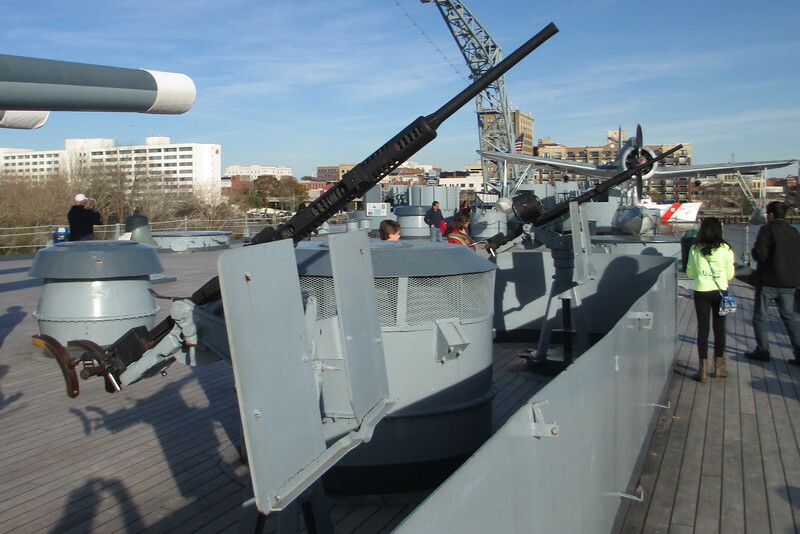 More than 40 of these guns protected the North Carolina from close range air attacks. 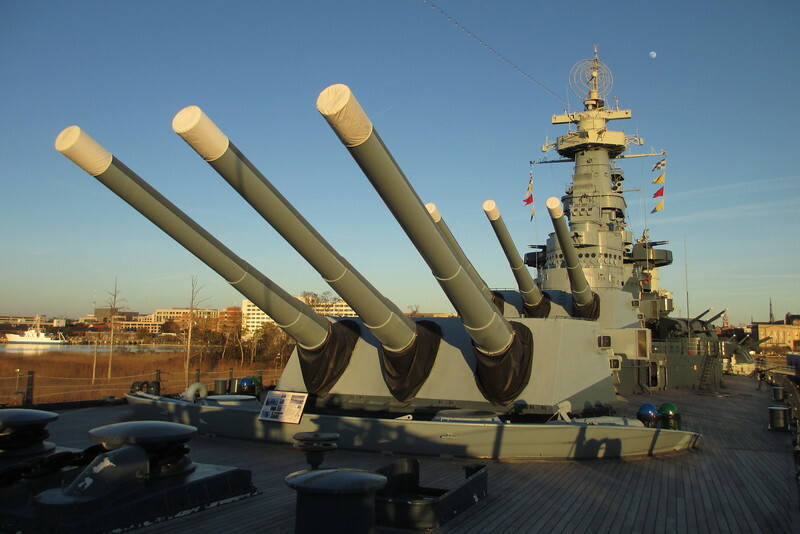 These huge guns were designed to be used against enemy ships as well as for shore bombardment. 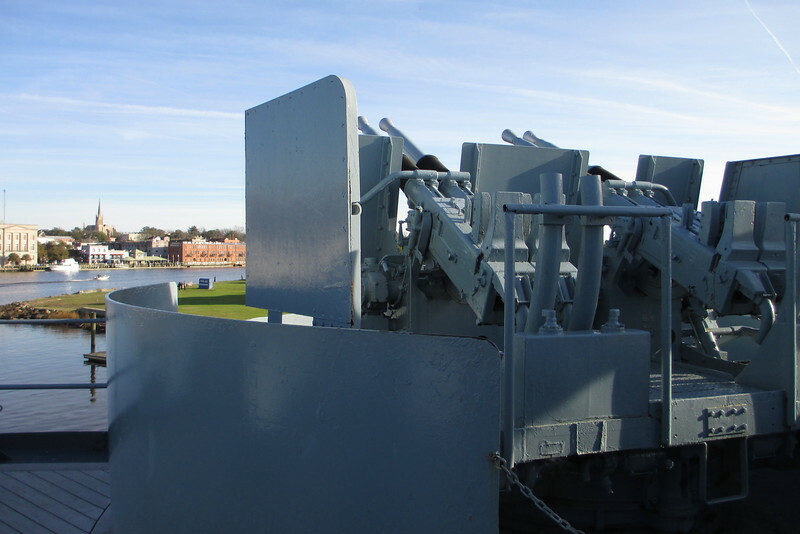 Each barrel can be raised an lowered independently from the other two. 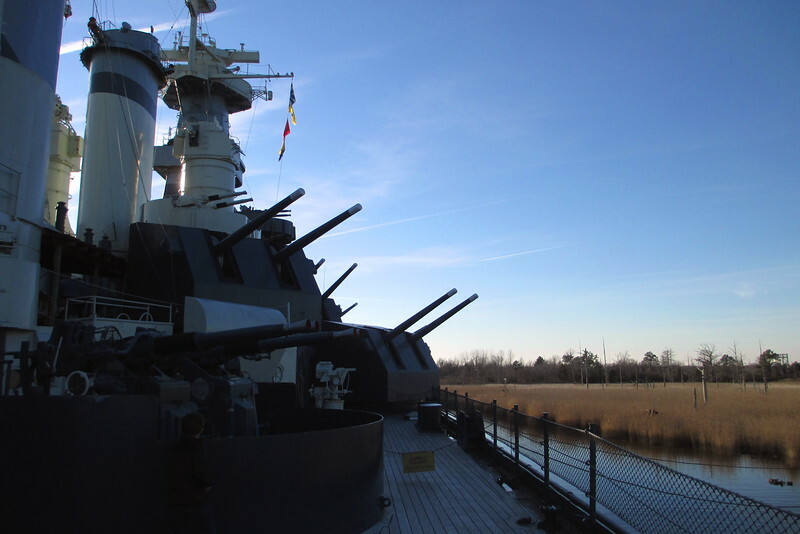 Approximately 3 officers and 177 enlisted men operated each of North Carolina's three main guns. 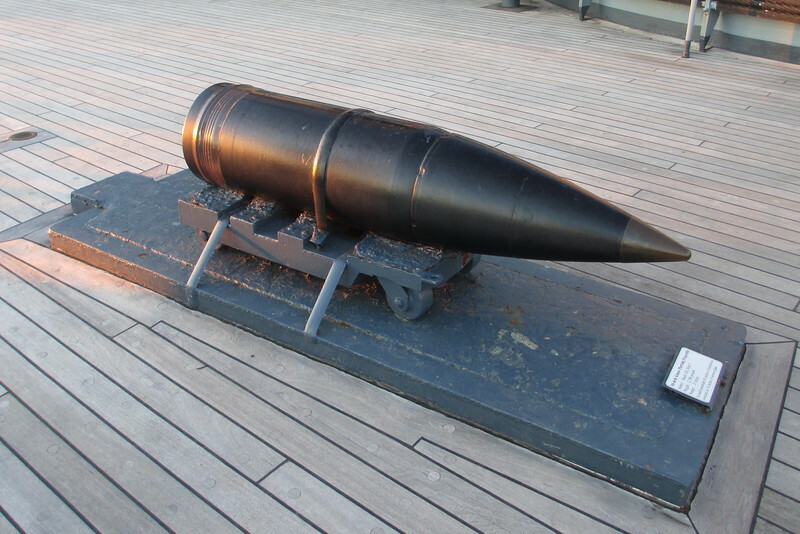 This shell could penetrate 30-inches of reinforced concrete or 16-inches of armor plate!! 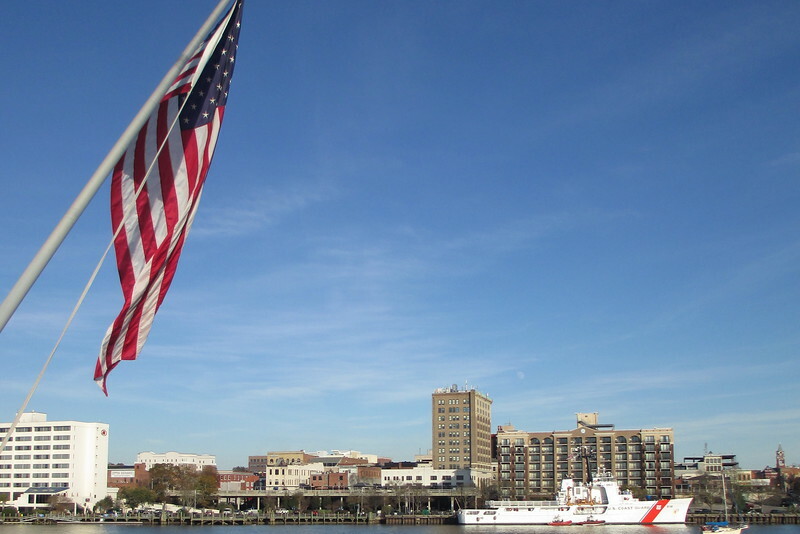 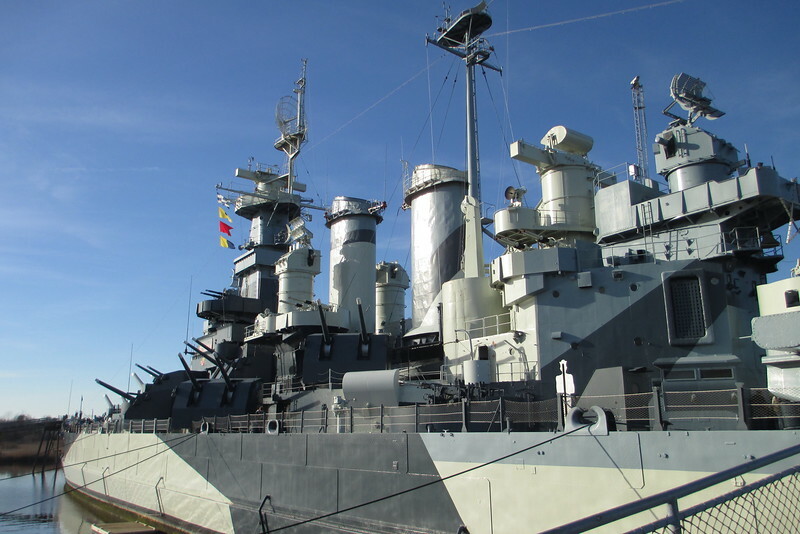 The ship to be previously named the North Carolina was an Armored Cruiser which served the navy as a troop transport as well as ship to carry out humanitarian and diplomatic missions. 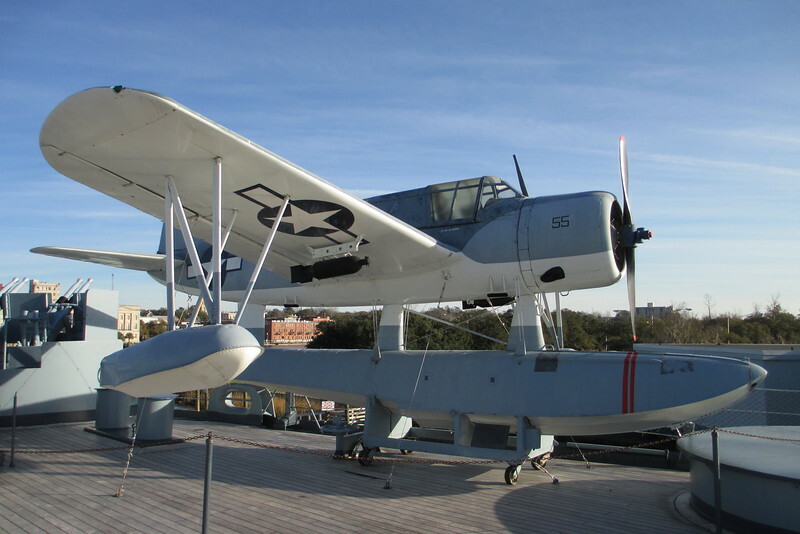 It had the distinction of being the first ship to catapult-launch an airplane at sea as well. 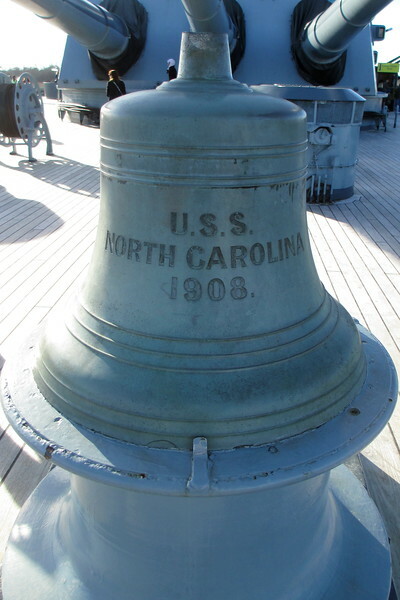 Renamed the Charlotte in 1920 so the name North Carolina could be used on the present battleship, the ship only served another year before being decommissioned in 1921. 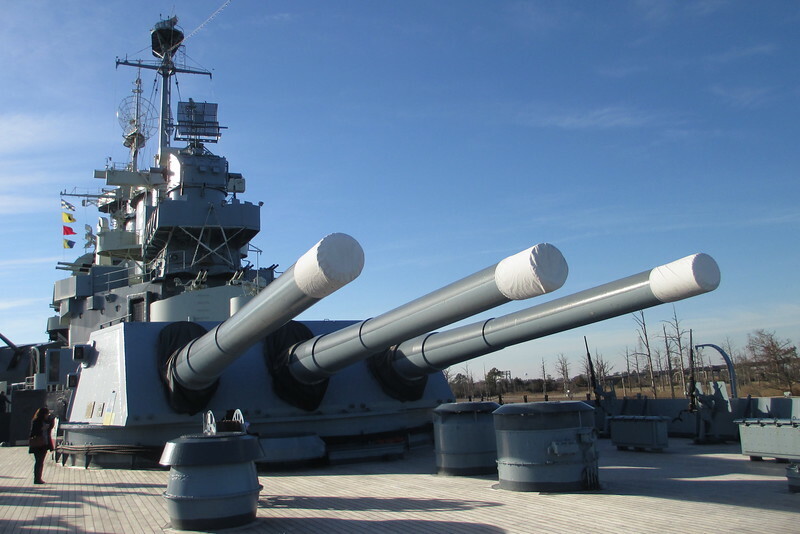 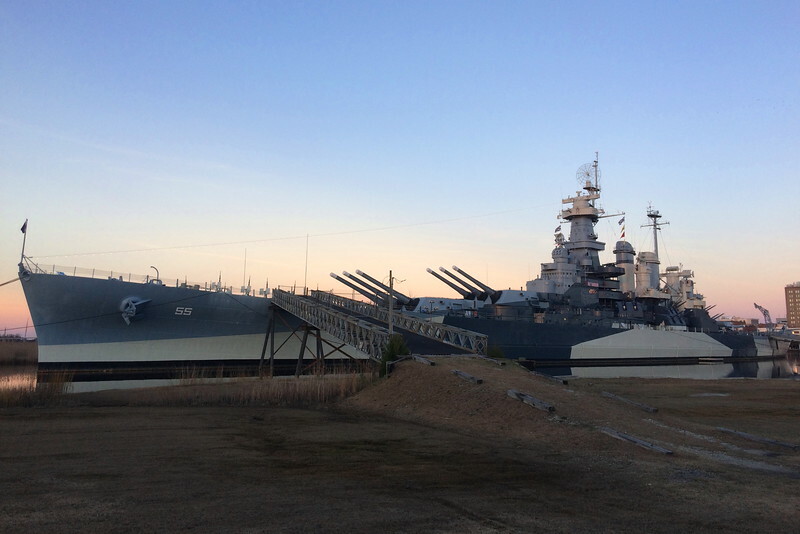 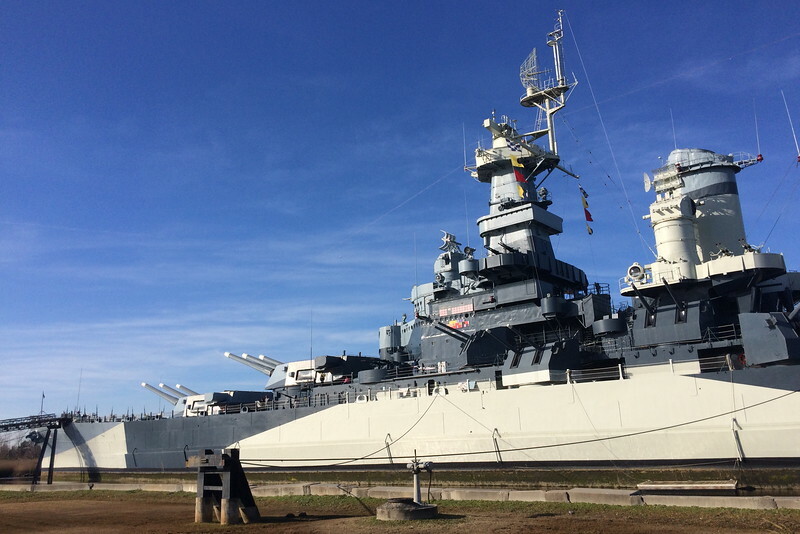 15 of these guns protected the North Carolina from medium range air attacks. 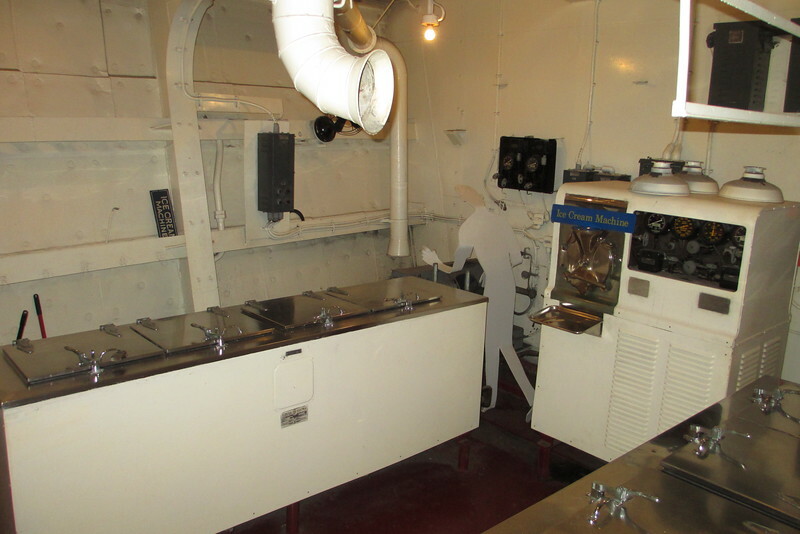 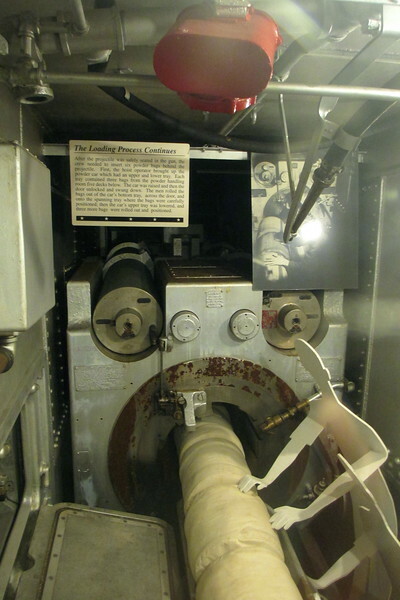 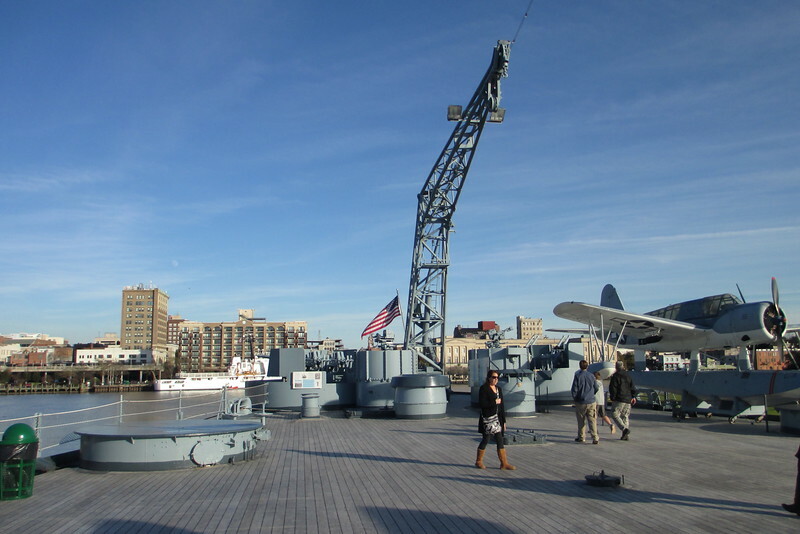 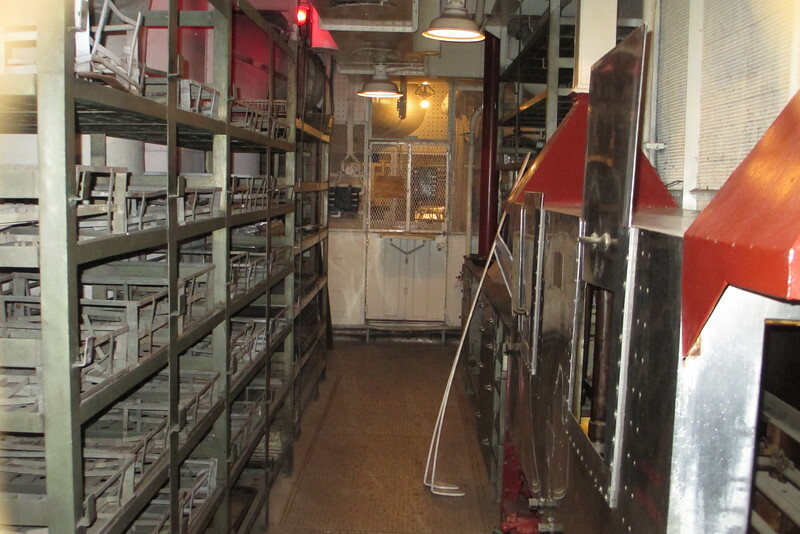 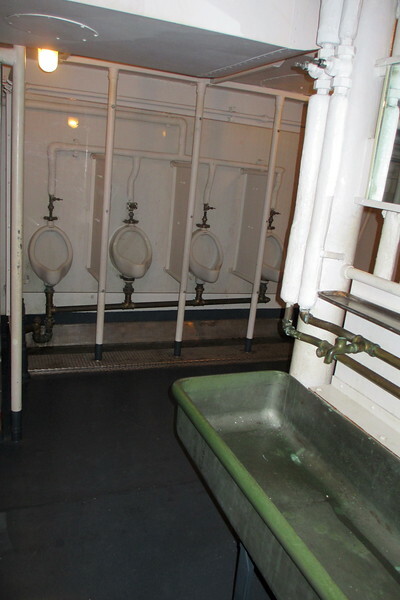 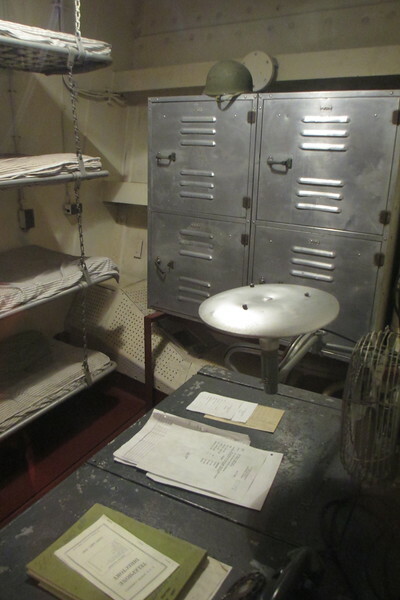 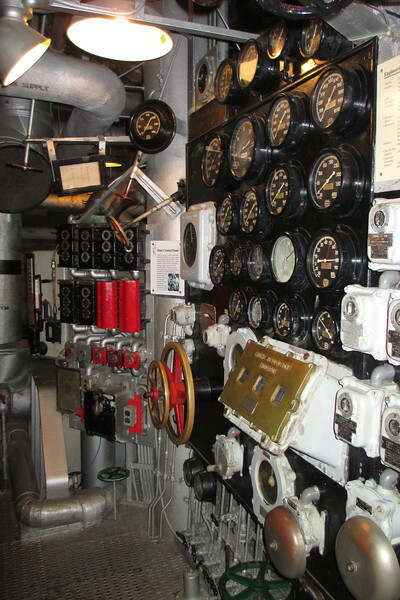 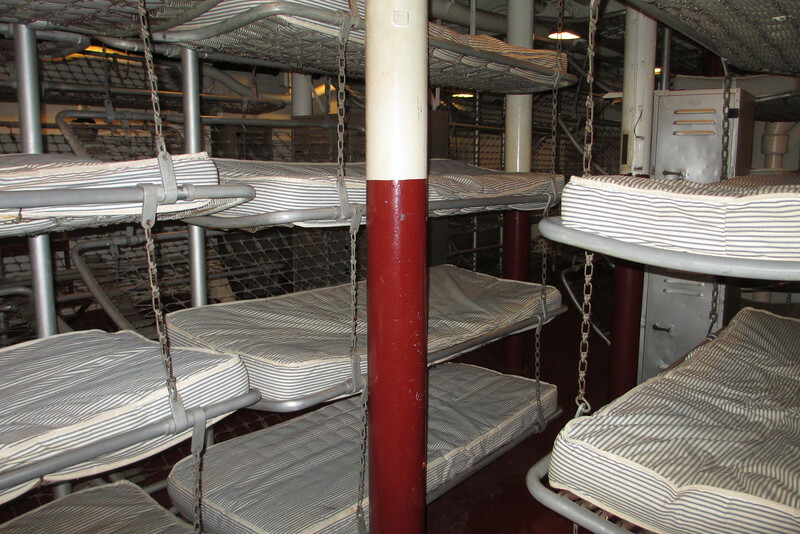 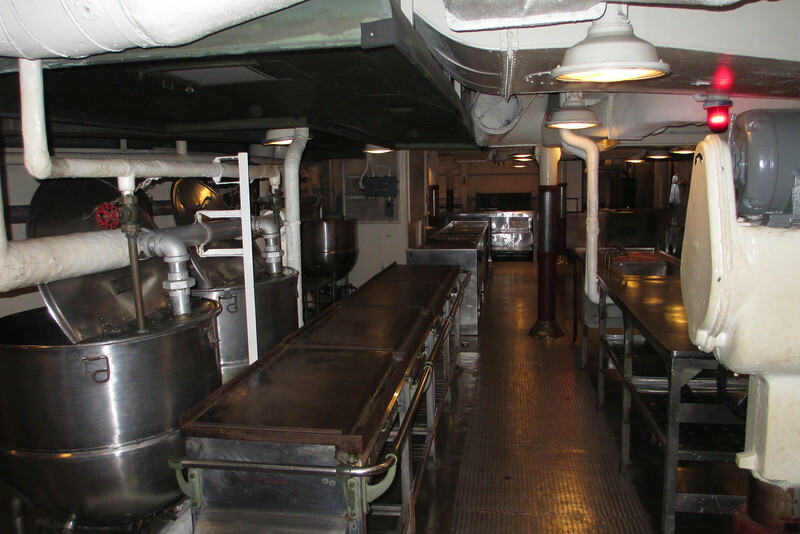 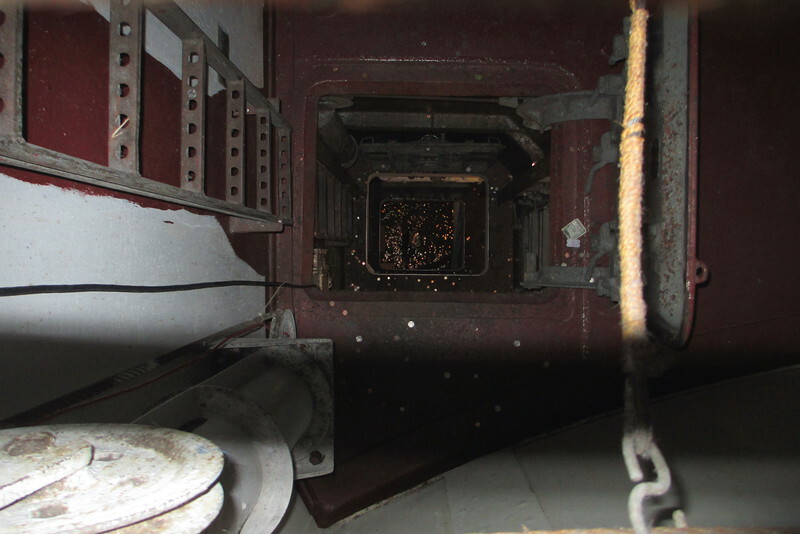 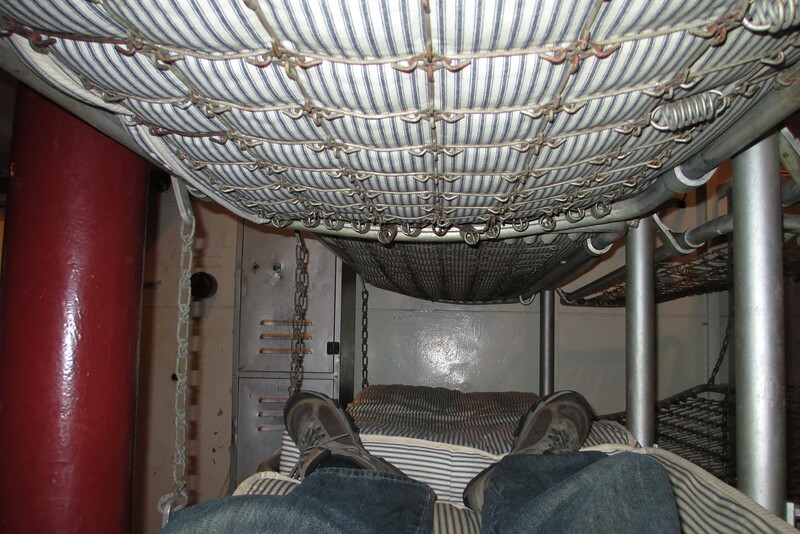 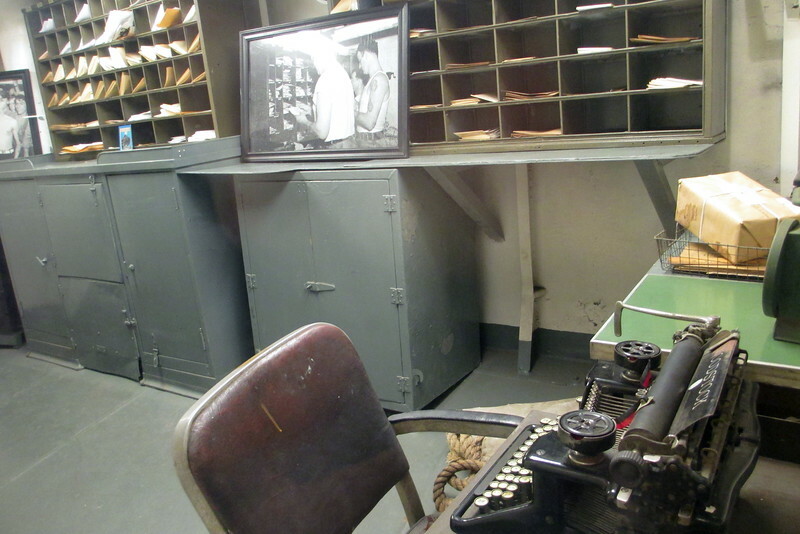 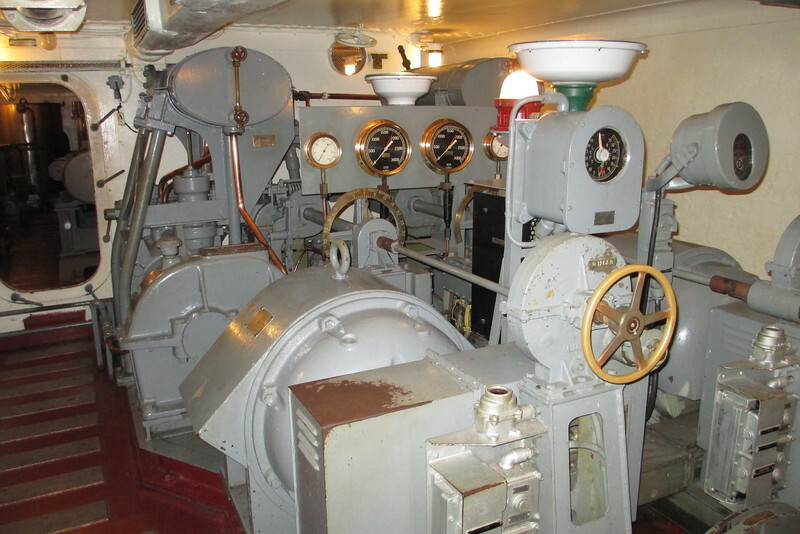 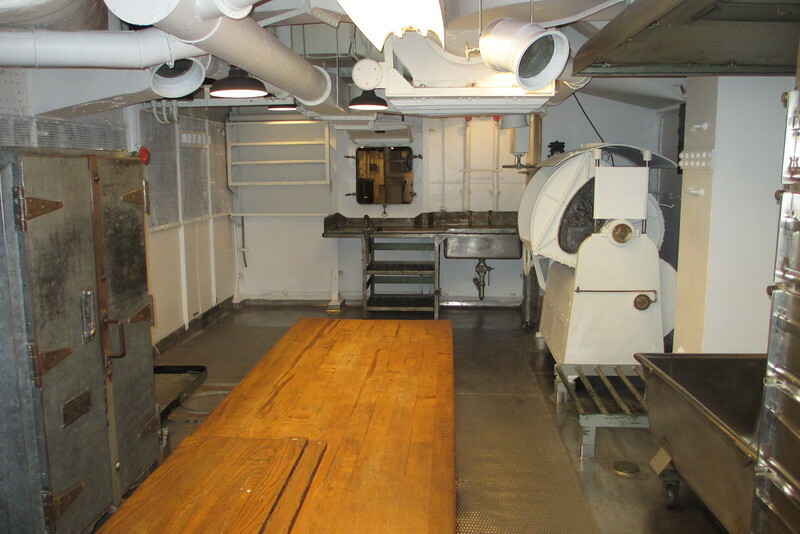 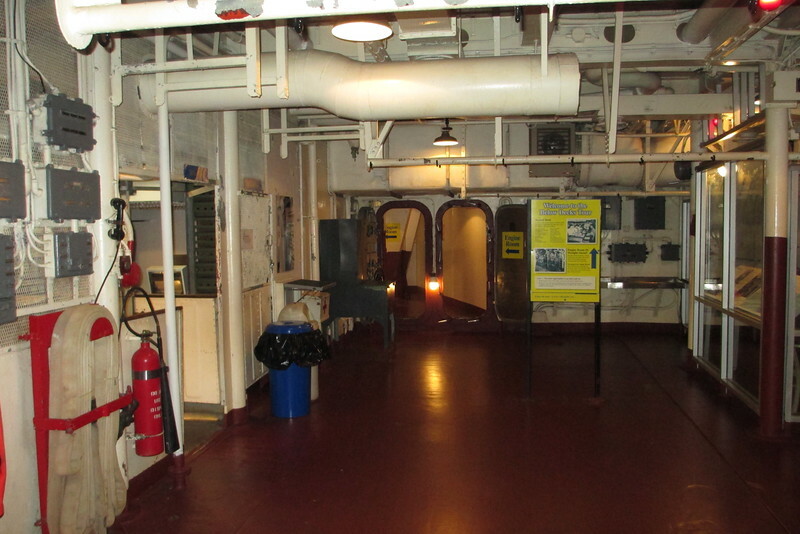 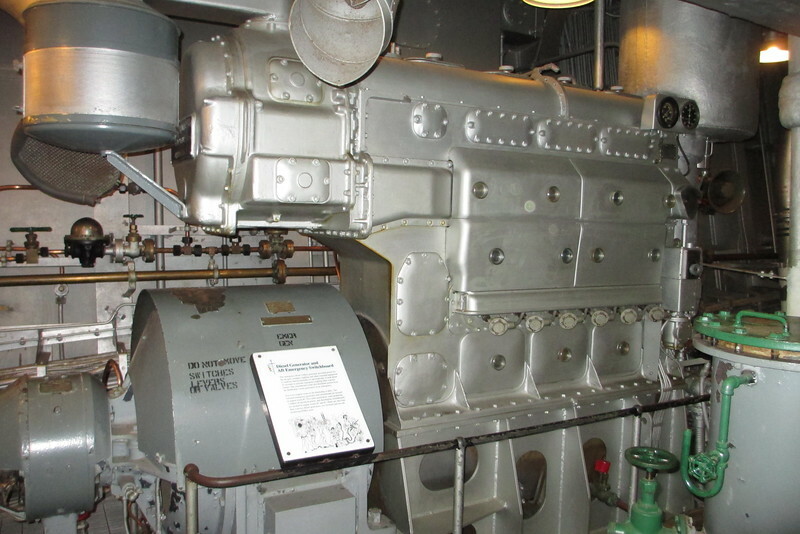 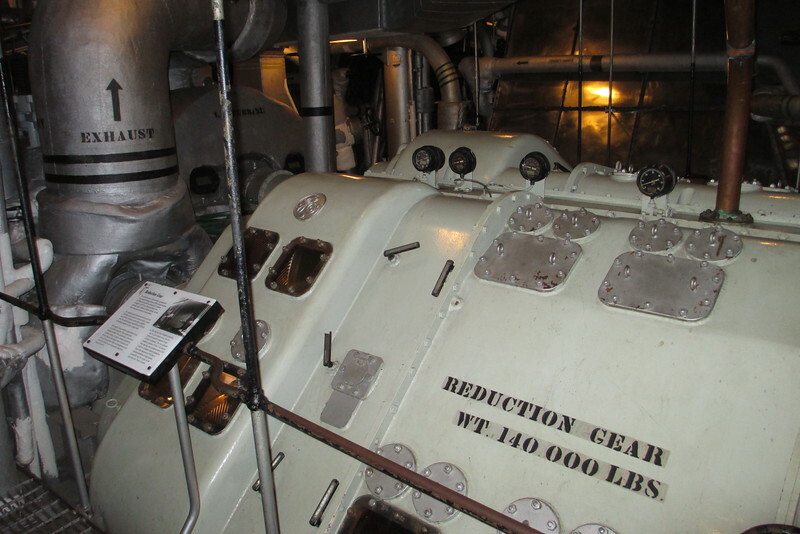 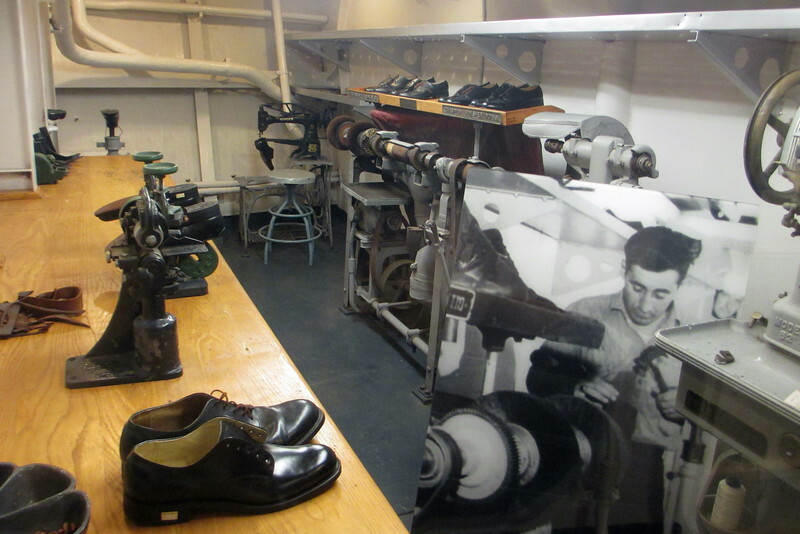 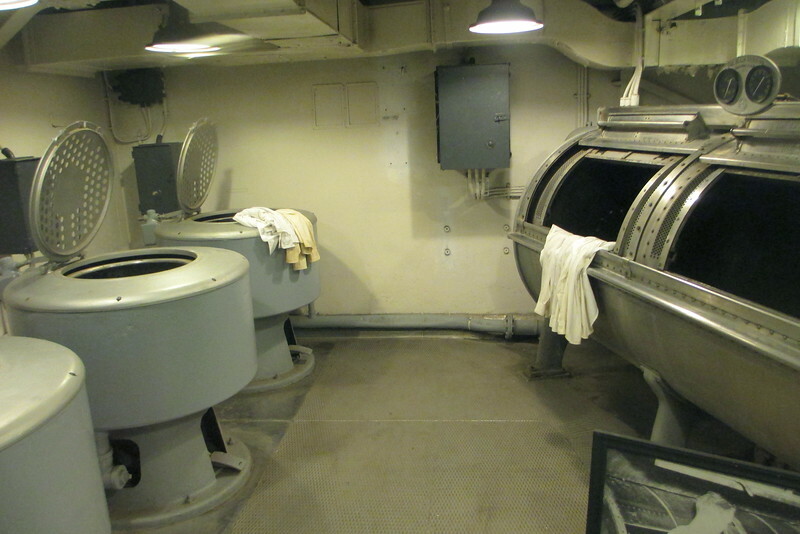 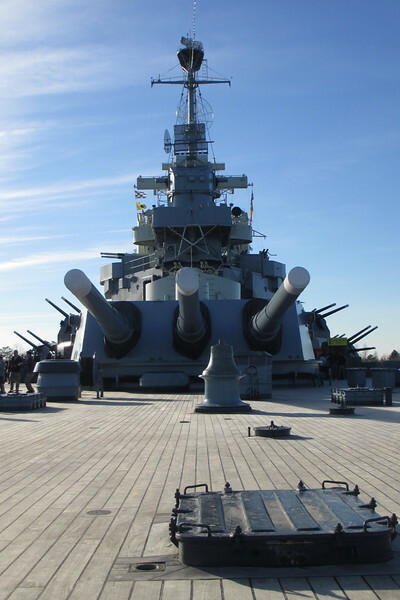 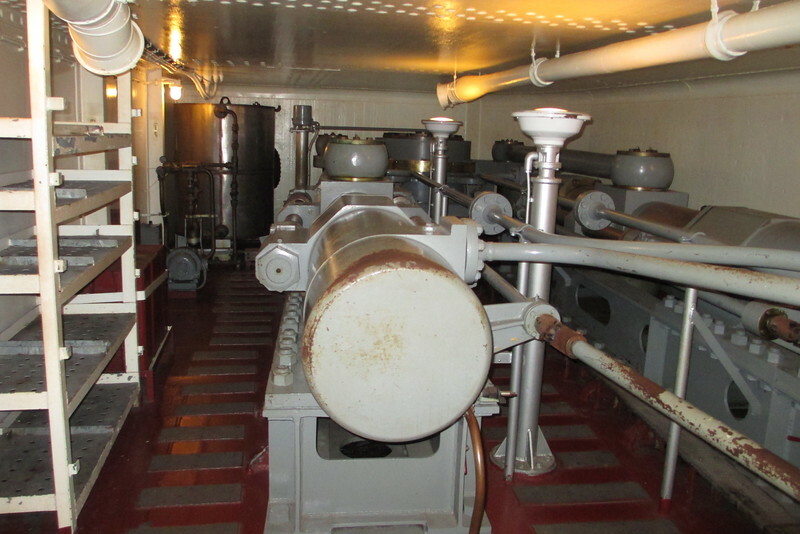 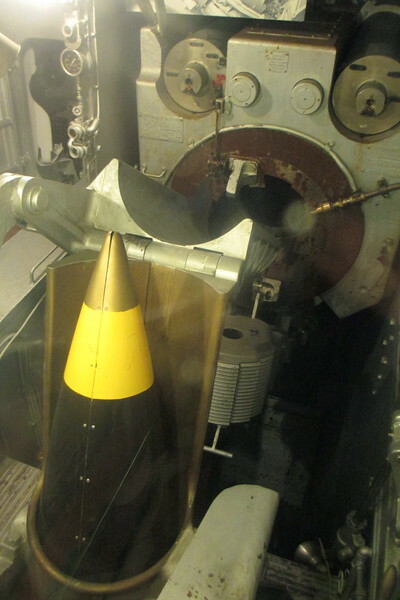 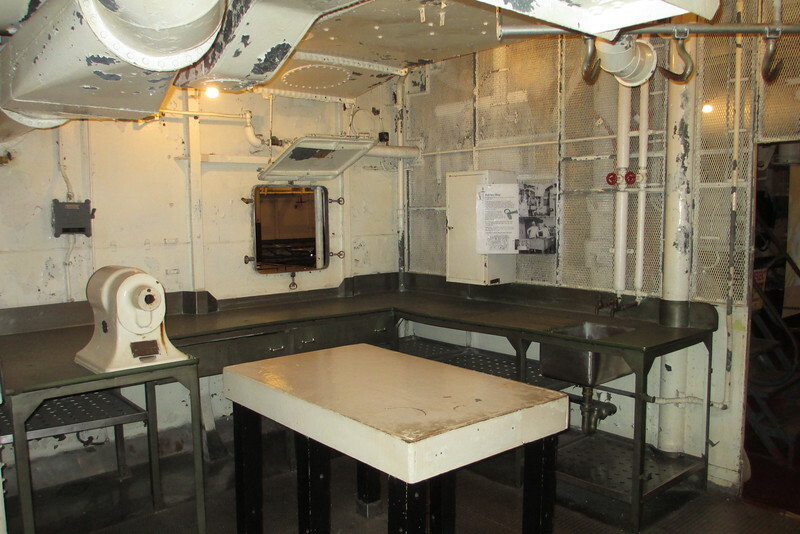 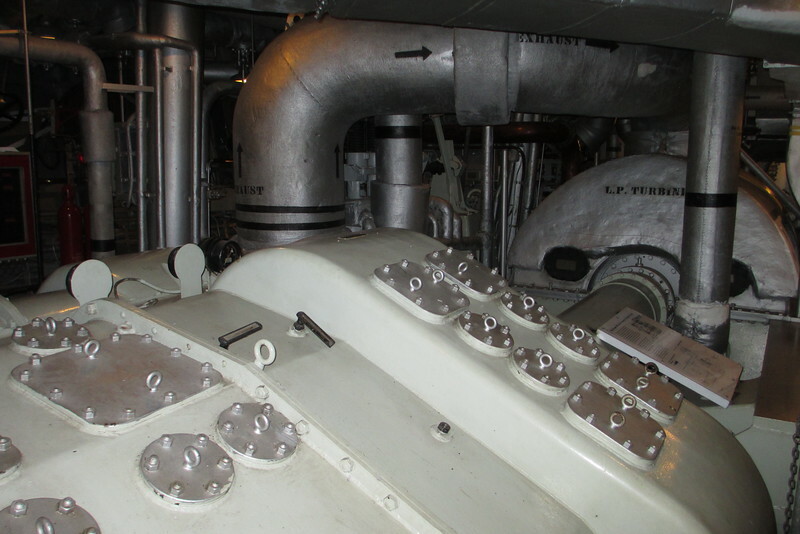 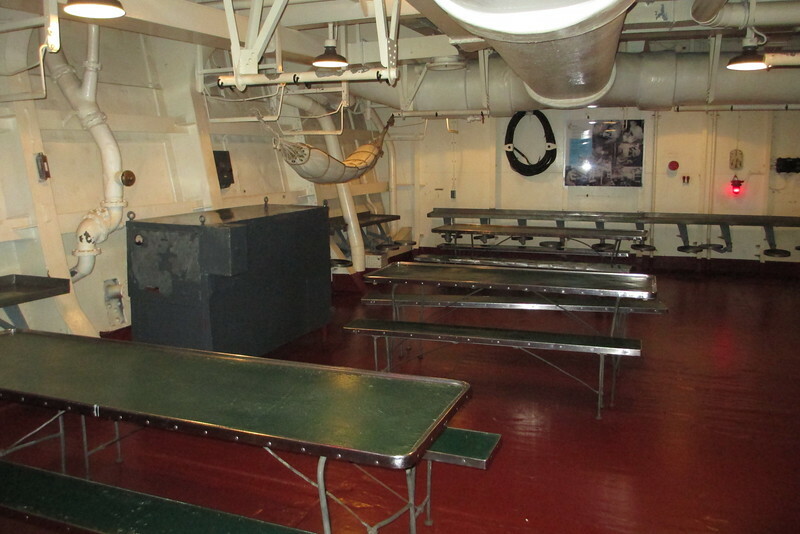 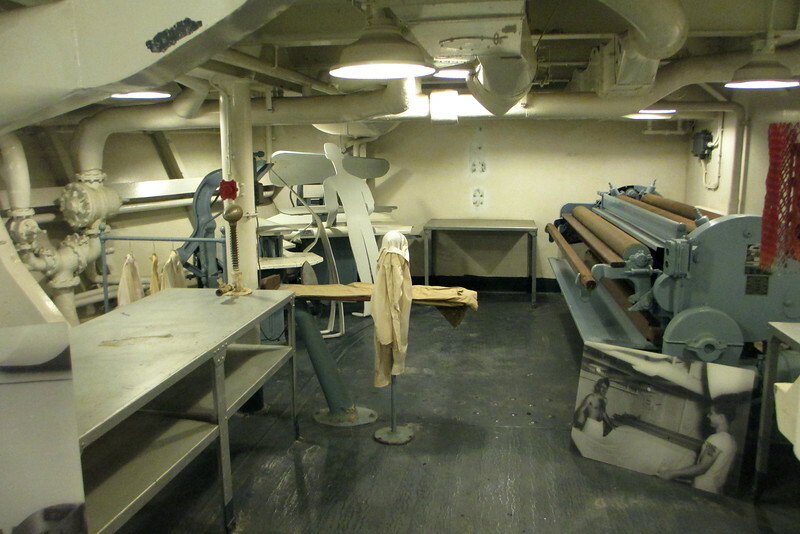 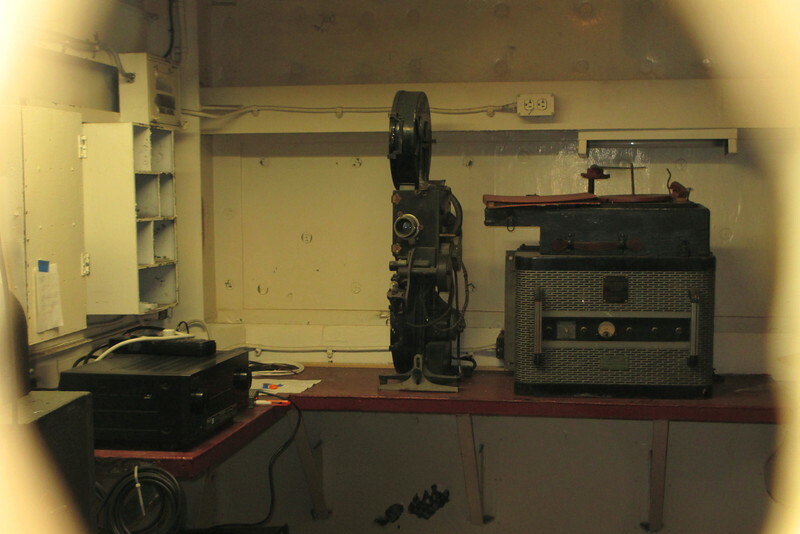 The tour allows you to climb inside the aft 'big gun', otherwise designated Turret #3. 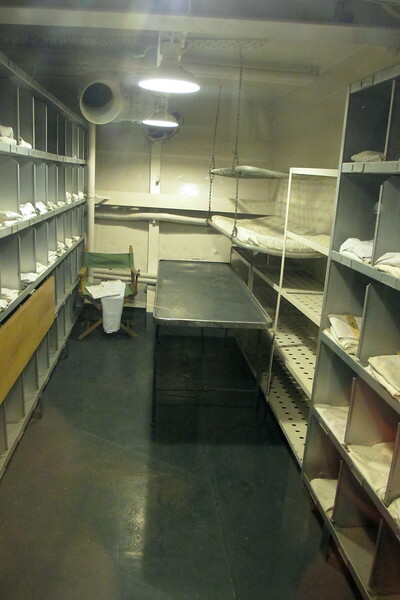 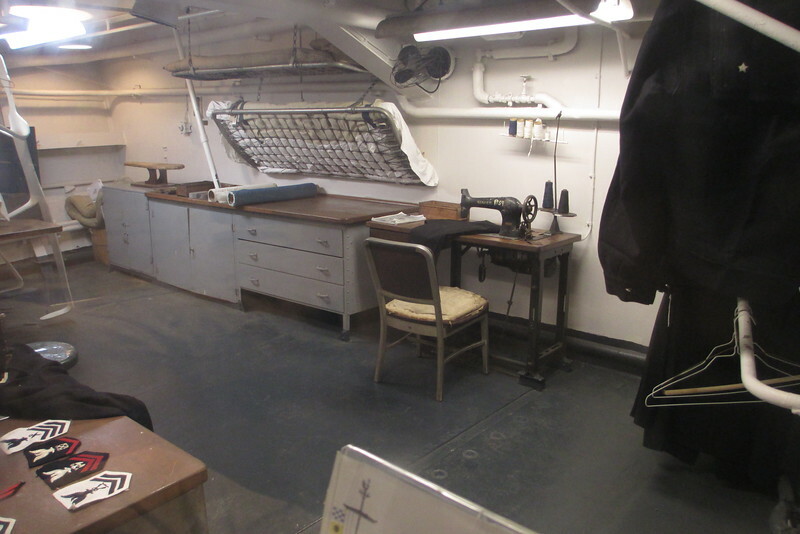 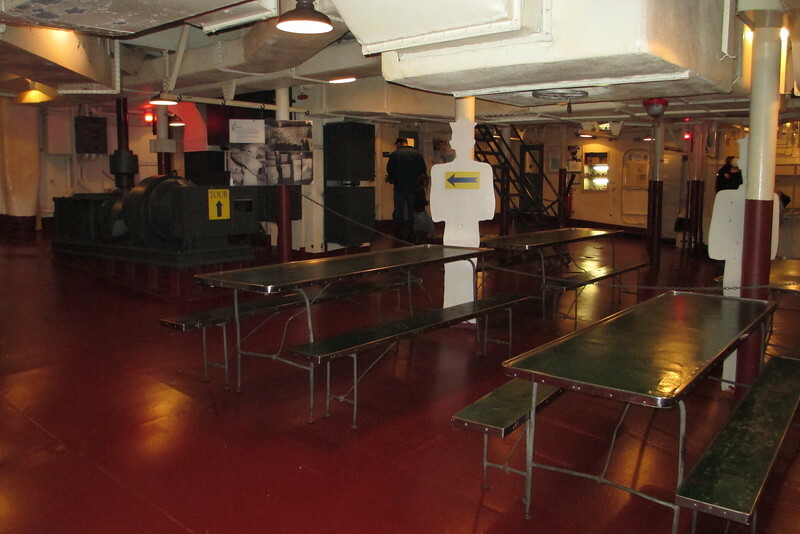 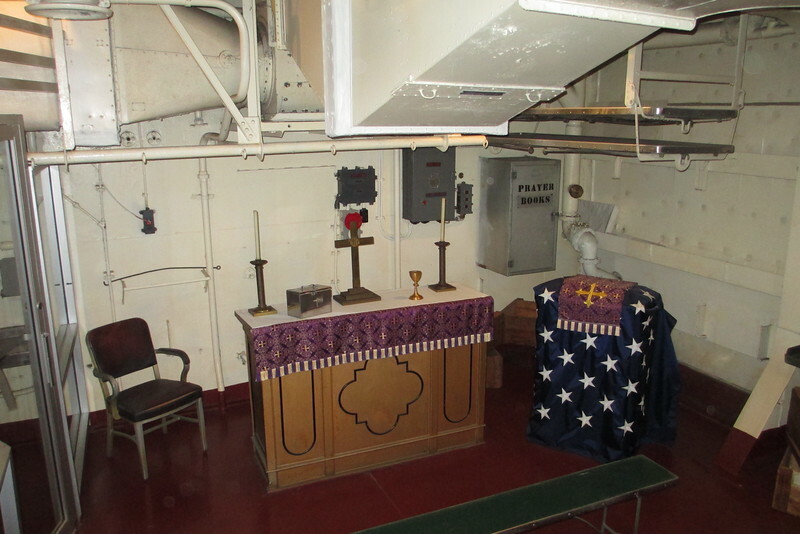 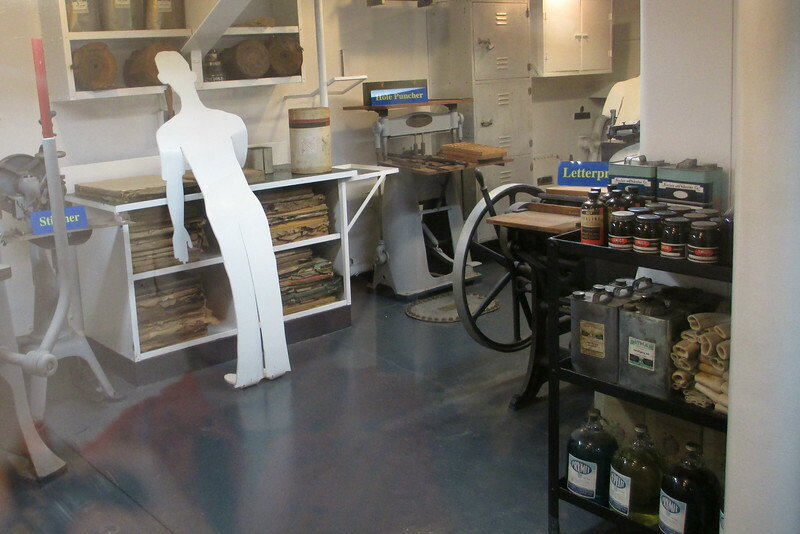 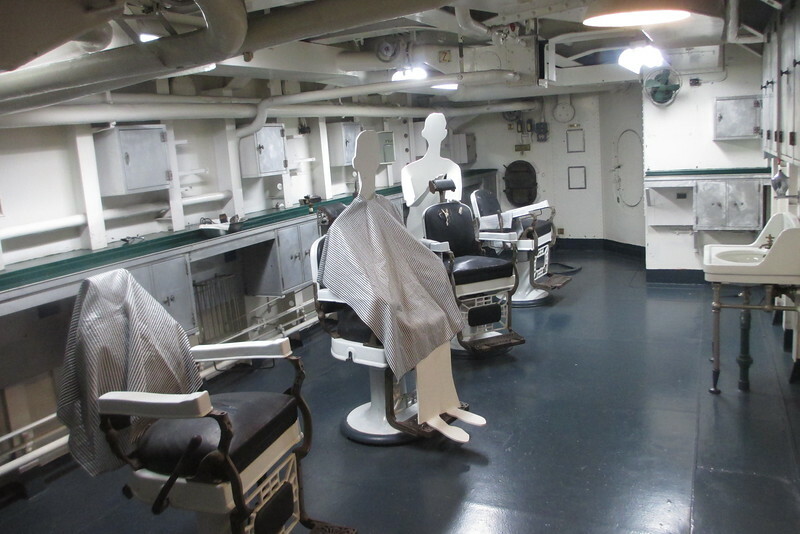 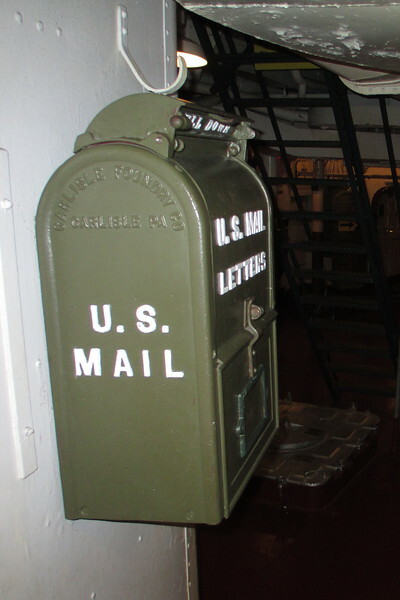 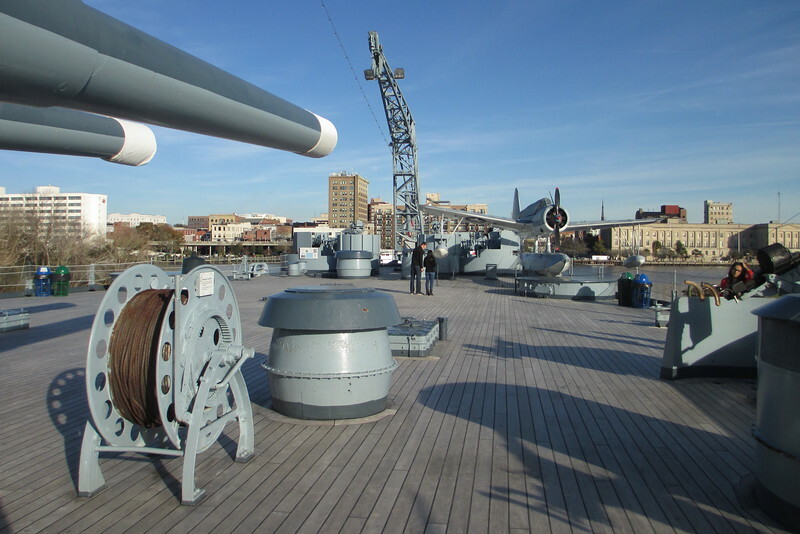 Reaching many levels below deck as well, approximately 3 officers and 177 enlisted men operated each of North Carolina's three main guns.